These are some of the resources I use on a daily basis, some have affiliate links. I will be adding detailed blog posts for each product. I only provide insight on products that I know well and that can add value to my clients. A mixture of free and 'paid-for' solutions (the time they save soon pay for themselves). All integrate well with WordPress. Some links are affiliate links. High quality WordPress dedicated hosting. Quality architecture with round the clock support. Managing content collation for your website project. A free and powerful way to manage your recurring checklists and procedures. Great for managing workflows and regular tasks. Powerful project management software. Keep all your tasks and communications in one place. Perfect for collaboration projects where you need to be super organised. Available across desktop and mobile, Evernote is an easy to use note pad for any aspect of your website planning and content notes. organise and produce content before it's published. Balsamiq Mockups is a rapid wireframing tool that helps you Work Faster & Smarter. It reproduces the experience of sketching on a whiteboard, but using a computer. There is an ever-increasing range of managed or dedicated WordPress Hosting options, where do you start? Find out how to make that decision over on my article covering how to choose your WordPress hosting. GeneratePress is a fast, lightweight WordPress theme that is free to download, with a premium add on that makes this theme highly customisable. The Genesis Framework empowers you to quickly and easily build incredible websites with WordPress. Whether you're a novice or advanced developer, Genesis provides the secure and search-engine-optimized foundation that takes WordPress to places you never thought it could go. BB Theme. 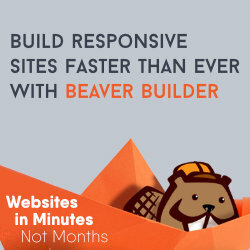 Over 250,000 websites use the BeaverBuilder Theme and Themer. 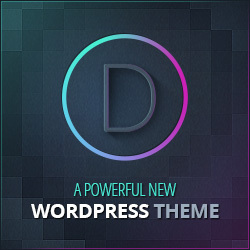 Well built range of WordPress themes built on the Genesis Framework. A powerful way to publish websites with WordPress. Good for designers and non coders. A well supported premium theme with good documentation and support. Includes a visual drag and drop builder. The downside is that it adds shortcodes to your page so can be tricky to do a simple theme swap. Live drag and drop page builder for WordPress. Free to download. Should work with most well designed themes. A powerful premium form creation plugin that is secure and fast. Integrates well with many services such as PayPal, Stripe, Mailchimp, Zapier, Active Campaign to name a few. 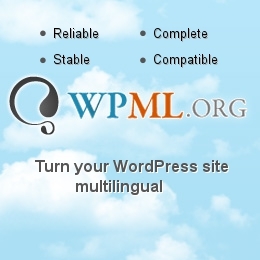 WPML makes it easy to build multilingual sites and run them. It’s powerful enough for corporate sites, yet simple for blogs. Beaver Builder Lite is a flexible drag and drop page builder that works on the front end of your WordPress website. With Beaver Builder, building beautiful, professional WordPress pages is as easy as dragging and dropping. Sucuri has developed a great WordPress security plugin designed to complement your existing security controls. It's designed to be lightweight, easy to use while highly effective, addressing some of the biggest challenges website owners face like: auditing, integrity monitoring and basic hardening. Hacking, server crashes, dodgy updates or simple user error can ruin your WordPress site. That’s why you need UpdraftPlus, the world’s highest-rated and most installed WordPress backup plugin. iThemes Security Pro takes the guesswork out of WordPress security. You shouldn’t have to be a security professional to use a security plugin, so iThemes Security Pro makes it easy to secure and protect your WordPress website. With just a few clicks, BackupBuddy backs up your entire WordPress website from within your WordPress dashboard. BackupBuddy makes the process of how to backup a WordPress site into five simple steps. Yoast SEO does everything in its power to please both visitors and search engine spiders. Yoast SEO is the original WordPress SEO plugin since 2008. It is the favourite tool of millions of users, ranging from the bakery around the corner to some of the most popular sites on the planet. An intuitive drag and drop WordPress form builder allows you to create contact forms, online surveys, donation forms, and more in just a few minutes without writing any code. MonsterInsights makes it “effortless” to properly connect your WordPress site with Google Analytics, so you can start making data-driven decisions to grow your business. Simply put, get the stats that matter inside your WordPress admin. 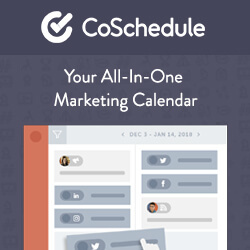 The No.1 marketing calendar the can integrate directly into your WordPress dashboard. Plan, promote and execute your whole social media strategy from one place. Want to grow your email list. Lead generation software that integrates directly into your WordPress dashboard. Powerful A/B testing and quick to create lead capture forms. ClickMeter Link Tracking. How many clicks on your links? Monitor, compare and optimise all of your marketing links in one place. Quick videos everywhere you need them. You and your team already collaborate on documents, project planners, CRM’s, and learning management systems. With Loom, any video you record can be watched directly where it is shared. TinyPNG uses smart lossy compression techniques to reduce the file size of your PNG files. By selectively decreasing the number of colours in the image, fewer bytes are required to store the data. The effect is nearly invisible but it makes a very large difference in file size! FREE Guide. How to get started with your WordPress Website. Your FREE PDF guide to get you up and running with your *WordPress website - fast! Part of Arttia Creative Limited. Professional indemnity and Public liability cover.